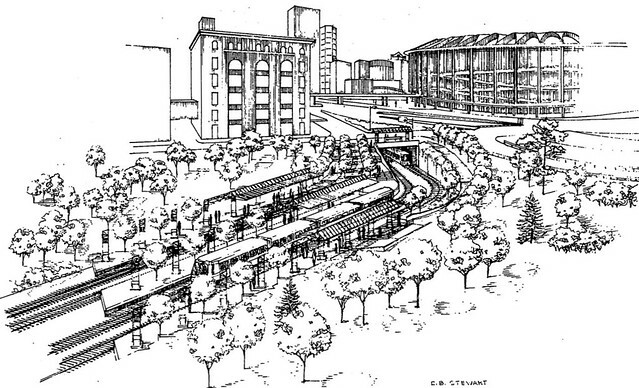 This drawing of the Stadium MetroLink station is from the 1987 Metro Link Final Environmental Impact Statement. Obviously, plans for the station were changed prior to construction. The drawing shows 4 tracks and three platforms at the station. The southern/lower two tracks and platforms were for regular service. The third track is a spare side track likely meant for special event service. The fourth track and third platform were designated as “future”, likely for additional special event service.